The WGS Technology casinos accept USA players. Formerly Vegas Technology the slots have fantastic graphics, incredible sound and user friendly casino lobby. Play over 100 slot, table, card and progressive games including some great bonus slots like Reel Deal and Wheel of Chance based on popular TV shows and bonus slots Cleopatra's Pyramid, X Marks the Spot and Money Shot. • Liberty Slots Casino offers new players 100% matching bonus up to 100$ on their first deposit. 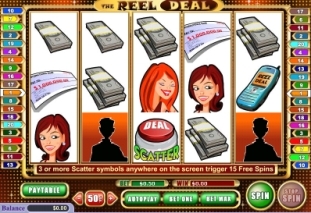 Play over 150 games including the popular slots, Reel Deal, Wheel of Chance, Hot Chilis and the unique 7 reel bonus slot Farming Futures. One of the most exciting features of playing Liberty Slots is generous slot tournament prize pools. Players can participate in both free and low cost buy-in tournaments over a wide variety of slots. The tournaments run daily, weekly and monthly so you can always find one to join. Deposit Methods: Visa, Mastercard, Amex, QuickCash, EcoCard, NeTeller, Moneybookers/Skrill and Ukash. Cashout Methods: Check by Courier, Wire Transfer, EcoCard, NeTeller Moneybookers/Skrill and by Personal Debit Card. 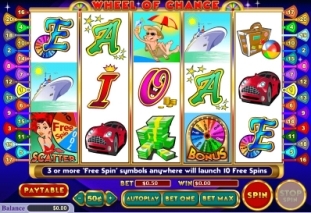 Visit Liberty Slots Casino to play fun slots. • Miami Club Casino is a brand new casino from the folks at SlotoCash. Claim up to $100 on each of your first 8 deposits. Example: Deposit $100 and get $100 FREE, play with $200 bankroll. Win up to $200 in the Miami Club Casino slot tournaments. Check the Casino's tournament calendar for details. Don't forget to join the VIP Club. VIP Club members enjoy exclusive perks based on your level of play. Casino Deposit Methods: Visa, Mastercard, Prepaid Cards, QuickCash, EcoCard, NeTeller and Moneybookers/Skrill. Casino Withdrawal Methods: Wire, Ecocard, NeTeller, and Moneybookers/Skrill. 24/7 live help, toll-free telephone and email support. Visit Miami Club Casino to claim bonus. All online casino games produced by WGS Technology are audited for fairness of play on a monthly basis by independent third party gaming expert Dr. Eliot Jacobson, Ph.D. Look for the CFG Seal where ever you play.